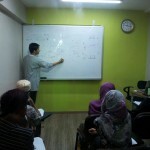 Aspire Institute of Quranic Coaching was founded in 2011, it started from a single webpage at AspireInstitute.com. 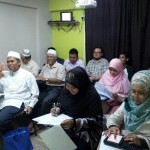 In 2012 Aspire Institute started to offer Quranic Arabic program for adults and Quran Reading program in 2013, the same year Quran LifeClass (originally Quran MasterClass) was introduced for the same audience. After School Tahfiz was introduced in 2014 a program designed specifically for primary school students in 2015 it becomes part of our core programs. In 2016 Aspire Institute introduced Quran Enrichment Program for 2 New audience, Pre-Schoolers and Youths. Join at any level, whether you want to read, understand Arabic for the Qur’an or learn the tafseer. To Know More and Register please CLICK HERE. 1- Have BURNING DESIRE to understand the Language of the Noble Quran. 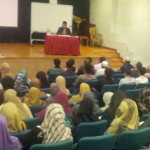 The curriculum of the program is designed specifically for working adults in Singapore who are comfortable in English, and love to learn the Quran and its language in a joyful setting free of stress, but at the same time properly structured and objective oriented. To Know More and Register please CLICK HERE. 2- Read basic quran (it’s ok even if they are not fluent in Tajwid) [for students who wants to advance straight to understanding the Quran program, for those who can’t read yet can start from the very basic of Alif Ba Ta]. To Know More and Register please CLICK HERE. This course is open for those who already know how to read the Quran and also for our existing FZTH students who wish to continue after completing their current FZTH class. With the intention of APPLYING Allah s.w.t.’s guidance in LIFE page-by-page, cover-to-cover, this program adopts contemporary linguistic approach to develop CONTEMPORARY UNDERSTANDING of the Quran guided by classical sources to ensure that the Quran’s original framework is maintained. Designed specially for busy working adults who has the BURNING DESIRE to connect WITH Allah through the Quran, the program shall be delivered bilingually in Malay and English, 4 times a month. Starting from Surah Al-Fatihah until the end of surah An-Naas, the program aims to complete 30 Juz of the Quran in 5 years. To Know More and Register please CLICK HERE. The best way to explain is to tell you what our little khalifahs do from the time the program starts at 1:30pm till it ends at 6:00pm. Before that, let us share with you who this program is for. The After School Tahfiz program is for schooling children from the age of 7 years old (Primary 1) to 12 years old (Primary 6) from secular primary schools or madrasah. We do provide transport with additional charges to the provider. 4:45pm-5:15 is their time for tea-break perform Solat ‘Asar together. At 5:15pm they will have their Integrated Islamic Program which includes Sirah, Tauhid, Arabic, Doa&Akhlak. Each subject is delivered once weekly, different subject everyday. 6:00pm is Home Sweet Home. Our little khalifahs are ready to be fetched by 6:00. The campus closes at 6:30pm. To Know More and Register please CLICK HERE. As part of our expansion programme, Aspire Institute of Quranic Coaching is proud to offer the Junior Khalifah enrichment programme, commencing in January 2016. This programme is targeted at children aged 5 and 6 years. This programme is specially designed for our very young learners. It incorporates the learning of the English Language, Mathematics, Arabic and Tilawati (Quranic Literacy). As for our Mathematics curriculum, our young learners will master skills in mental calculations, one to one correspondence, simple addition and subtraction, simple problem sums and the multiplication tables for K2 students.Our English curriculum includes reading, writing and comprehension. 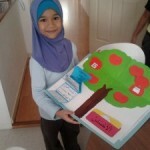 Our young learners will learn about stories from the holy quran. They will develop their language skills in grammar, vocabulary and oral communications too. To Know More and Register please CLICK HERE.